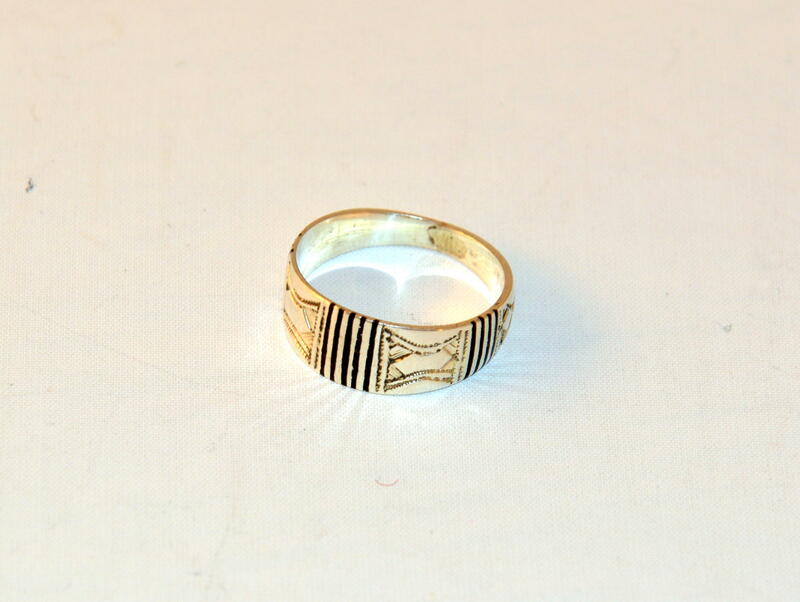 Gundara offers the beautiful and fairly traded Tuareg silver ring Ambiance. This beautiful and finely crafted Tuareg ladies silver ring comes from the family Ataher from Niger. The patterns in the silver of the ring are dunes blown by the wind. The line around them is the trail of the caravans in the desert sand. The handicraft of silversmiths is passed down from generation to generation in Niger and with it also many stories, symbolism and mysticism. The lines traced with ebony powder are caravan routes. The three dots at the end of the silver ring are stars. What distinguishes this ladies silver ring?